The Khmer Empire lived its great period between 8-13th centuries. Hinduism and Buddhism were the main belief systems of this Empire. After so many tragedies in the last 50 years Cambodia is progressing. It is evolving so speedy that all means of global establishments and greedy tourism are on high steam here. Anyway I love this country. In this article you will read information and travel tips regarding Seam Reap. US dollar is dominant and valid in all Cambodia. Even in ATMs you may withdraw US dollar (together with Cambodian currency “Riel”). In December 2017, 1 US dollar was 4000 Riel. For 200-300 US dollar cash withdrawal in ATMs charges you 4 US dollar commission, which is quite high, anyway. You may carry your own dollar for not to pay this commission. Maybe Asia was a very cheap place to budget travelers but with the booming tourism and greedy approaches made this place comparatively expensive. Yes it is still cheap but not a traveler dream as it is used to be. I bought Cambodian SIM card (4G LTE) icluding internet access (15 US dollar). When you just leave Siem Reap Airport there are a couple of company stands to sell these SIM cards. I recommend you to buy a SIM card over there. I was happy with my SIM card in my 3 weeks stay in all Cambodia. It worked without a problem. I bought SIM cards every country in South East Asia. They were very useful. Unfortunately if you do not force yourself by deviating basic backpacker routes, you will find internet access and all means of civilization. It is unpleasant to me this global sameness. I offered my phone to an Indian couple. They were planning to buy one just for their 2 days which I see unnecessary. They were so polite to invite me to share their tuk-tuk to town. In a short time we had a great chat. Indian people are generally so nice and peaceful. It wasn’t a long distance to town and I reached my place “Bambu Stay” hostel and dear friends Vanna (owner) and Parag from India. The first day was a chill-out day for me. I just wandered in the streets of Siem Reap town. 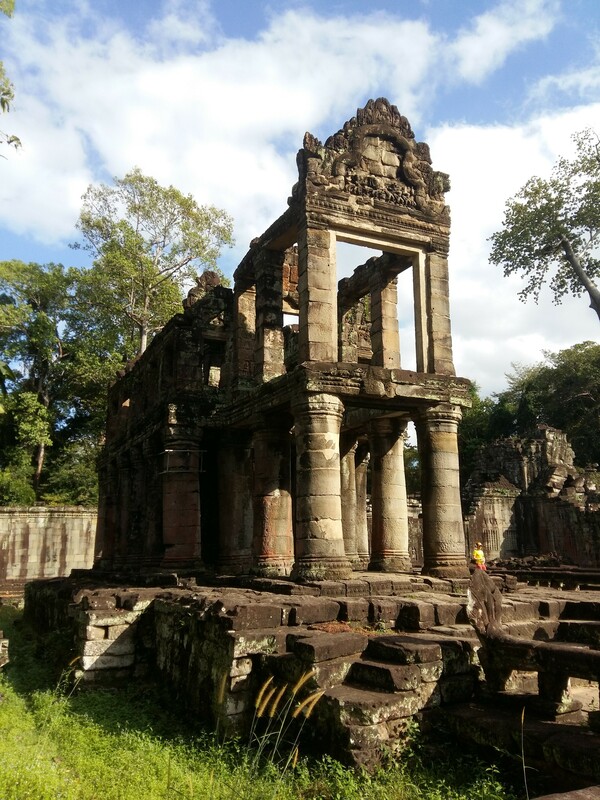 After reading so many blog articles about Siem Reap I was axpecting a small town. But for me Siem Reap is a fast growing big town and you may find every level of touristic and westernized utilities over there (unfortunately). Definitely it is not a small place. Another uncontrolled growth is on air in Siem Reap. To my perspective the lonely people of this planet are trying to prove that they are in the game by social media. Most of them have no idea where they are really walking. Lots of them have no or very little information about history and the figures in the temples, places and the culture. They want to show themselves just in the photos. What is the meaning of “Ramayana” or “Mahabharata” to them? Just smarmy actions of virtual reality. It takes 3 seconds to take a photo. That is enough. They are just there to show themselves in facebook, instagram, youtube or whatever it is. This style is totally insane. Additionally the great number of vendors and their continuous requests or offers are also annoying. I can understand the need for money but … Especially I got rid of tuk-tuk drivers endless yelling as “tuk-tuk?”. As my last point; when I hear or see “UNESCO” name, it directly reminds me money, capitalism, commercial marketing of culture, a new business area. Anyway this much comments and complaint are enough. 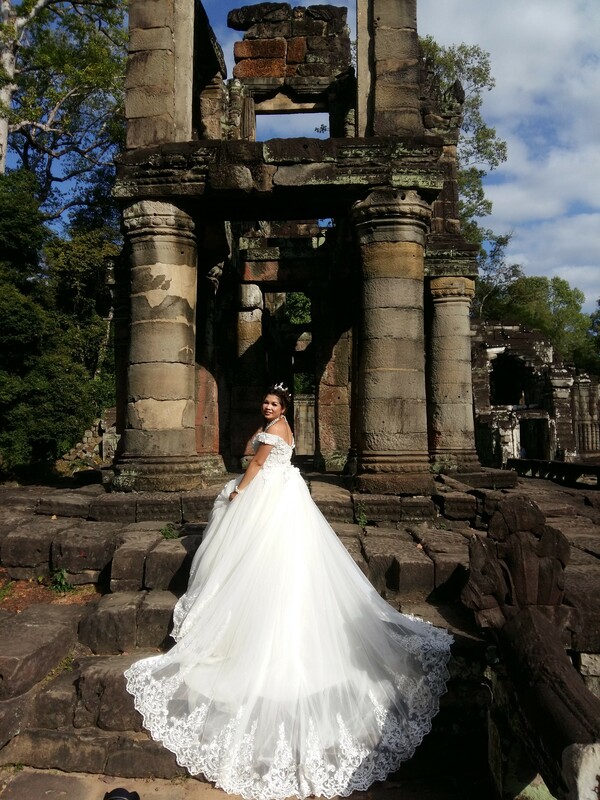 Lets turn our attention to the beautiful Khmer Temples. This region is the historical region of KHMER Civilization with a lot of temples and historical belongings. Before my travel I was considering just a couple of temples. Actually there are more than 40 temples in different sizes in the region. If you want to see most of them 3 days is minimum duration from my perspective. Angkor Wat is just 10-15 km from Siem Reap center but Banteay Srei is nearly 50-55 km away from the town. If you make an efficient preliminary study, you may visit and value these places in 3 days. But you must believe that these three days will be really tiring. If you don’t have much time three day is the meaningful minimum limit. If you use Tuk-Tuk for transportation you will be charged around 12-15 dollar every day. You may use bycicle, scooter or hire a car as well. Tourism agencies are ready to serve you whatever you choose. They have many alternatives to day trips and tours too. These alternatives change depending upon your physical condition, age, wish etc. I have seen people who visit the Angkor Wat sunrise, a couple of temples in one day and finish their travel. This is up to your wish and choice. One day is just a touchdown-like super rapid visit which is nonsense to me. Are you a traveler or tourist? Or are you a cyber identity who lives in instagram or facebook? Decision is yours. I stayed 11 days in Siem Reap. I spent 5 days in temples, one day in Floating Village tour and one day in Month Koulen tour. The rest of the days I was chilling out in my beautiful hostel Bamboo Stay with friends. I love the roads to the temples, forests, rice fields nearby the roads. I slept in the hammock of the tuk-tuk. Peaceful environment, waterways gave my a spiritual relaxation besides the beauty of the temples. Some temple and ancient Khmer civilization cities are surrounded by the moats. Water lilies, lotus flowers and the green environment is really nice. Can you understand a place without knowledge of history? Nearly impossible. If you want to understand what you are into you should spend at least half day in “Angkor National Museum”. The belief systems, symbols, chronological past, values can only be well understood after visiting this museum. It is a very well designed museum. It was the most meaningful 12 dollar I spent here. In my opinion one relax day in museum is needed to get an insight of the history and the knowledge. Indian mythical stories, deities, cultural values, influences of that periods countries on Khmer Civilization can be better understood with (at least) some knowledge. Otherwise you may say that “It was fantastic in Angelina Jolie temple” or your time can only be valuable for you with some social media photos. “Wat” means “Temple”. “Angkor Wat” is one of the greatest sacred sites in the world. Here are my shots. I love “Bayon Temple” with its giant face statues. It is one the most visited site in this region. There are lots of temples in the region. There is a dense tuk-tuk, bus, scooter, car and van traffic here. To see the temples is a kind of race for öost visitors. Here are the photos from other temples. Floating Villages which take place on the shores of the biggest lake in southeast Asia “Ton Le Sap”, is another magnificent story in Siem Reap. But not all the people have this unique experience. Another lifestyle is being lived in these villages. Even though it is a touristic attraction definitely worth to see. Koulen Mountain is also a nice trip which is 50-60 km to Siem Reap. On the way to Koulen 1000 Lingas was really worth to see spot and there is a temple after 1000 Lingas. I enjoyed swimming in the waterfall. “Thousand Linga” is tens or hundred of Linga statues in the river. Linga is an artistic and spiritual representation of fertility symbol of its time. It is hard to say statue but it has a simple cylindrical artistic appearance. You may see lots of linga figures in Seam Reap region and in Khmer historical belongings. The river water passing thorough these lingas is believed to be sacred. “Smile of Angkor” is different from the Apsara Dance Shows in the restaurants. It has another essence including historical and cultural representation in a professional choreography. I enjoy a lot from “Smile of Angkor” show. There are lots of stories to tell. I am ready to answer questions and give my view about my facts of traveling and this place if you need some. Hope to have some comments, contributions. Thanks for reading.